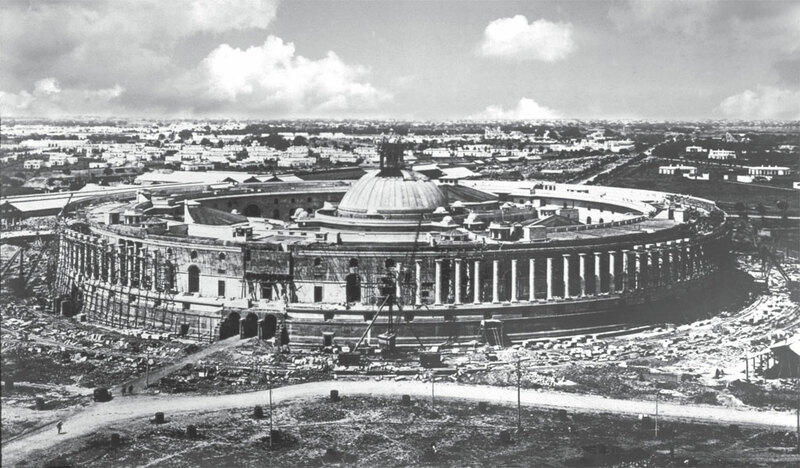 How was land for Rashtrapati Bhavan and the parliament building acquired? Who were its original inhabitants? The suggestion of Lok Sabha Speaker Sumitra Mahajan for a new parliament building has opened a Pandora’s box. The present building is showing signs of “distress”, and will not be able to accommodate members after 2016, when the seats will go up, in line with the Census 2011, she said. The suggestion is not new. A year ago, at a meeting of the Budget Committee of Parliament, members echoed similar sentiments. Former Speaker Meira Kumar had even constituted a committee to look into the matter. But the story about how land for Rashtrapati Bhavan, the home of India’s first citizen, and the present parliament complex come from is intriguing. It is said the land was carved out of seven villages—Raisina, Malcha, Kushak, Pelanjee, Dasgarah, Talkatora and Motibagh. Few people are aware of the history of Malcha. An investigation took this reporter to the Grand Trunk Road, north of Delhi, and then to Sonepat district, Haryana, where wheat fields cover the landscape. The road finally led us to the twin villages of Harsana Kalan and Malcha Patti. Malcha Patti is a quintessential Haryana village. Veiled women in salwar kameez walk past hurriedly, avoiding the stares of strangers and onlookers. Buffaloes bellow from the homesteads, and heaps of cow dung cakes lie beside the mud-brick houses. Narrow drains line the peripheries of houses. In Malcha Patti, we meet Jeet Singh, a 73-year-old man dressed in a white kurta pyjama. Sitting on a manji (bench) on the terrace of his house, he tells us the story of Malcha. “Malcha was the largest and the most prosperous village, where 189 families lived. They belonged to various communities—Sainis, Brahmins, Nais, Kumhars, Dalits, Gujjars and Jats. There was also a sizeable Muslim population, mostly belonging to the Rangarh community,” Singh explains, with the help of photocopies of official Mughal and British records of the era. Known as jemabandhi, the document details the owner of land, the area of the land and its character (whether it is fertile or fallow). The document used to be renewed every four years by the village patwari (accountant) who also recorded changes in landholding patterns. Along with jemabandhis, the British also carried on the Mughal tradition of maintaining what are known as Shajra-e-Nasab (Tree of Lineage in Urdu). “I traced my descent to one Ramdatt. He had two sons, Shaadi and Abhay, who were owners of the land in Malcha village in Delhi. Malcha’s residents, including my ancestors, as well as the residents of six other villages, did not get land or money for what they had lost,” says Singh. They, instead, migrated to Sonepat district and founded Harsana and Malcha, which they named after what they had lost. Singh and his advocate Sanjay Rathi filed an application under the Right to Information Act and got to know that the compensation money had been deposited before the Divisional Judge’s Court in Delhi in 1912-1913. “We asked the Supreme Court, the Delhi High Court, the Ministry of Law and Justice and the District Judge of Delhi as to who is the successor of the Divisional Judge’s Court. But nobody clarified.” Singh says the money may have been deposited in the state treasury. The British started three banks—the Bank of Calcutta, the Bank of Madras and the Bank of Bombay. The Bank of Calcutta later became the Bank of Bengal. It was the national bank of India when the British decided to move the capital from Calcutta to Delhi in 1911. “The money that was deposited in the court of the Divisional Judge of Delhi was thus deposited in the Bank of Bengal by default. In 1923, the Bank of Bengal, Madras and Bombay were merged and renamed as the Imperial Bank of India. After Independence, the Imperial Bank of India was rechristened the State Bank of India (SBI). This means the compensation money is in the SBI,” says Rathi. But are these claims relevant, especially given that so much time has lapsed? “Everything is time-barred. You cannot demand anything from anybody at any time. If you did not get land at that time, the government cannot be blamed. Where were these people in 1950, when the Supreme Court became a separate entity?” asks Manoj Gorkela, an advocate practising in the Supreme Court. Counters Surat Singh, a lawyer fighting for another litigant, Sajjan Singh, “Section 24 (2) of the new Act makes it clear that if the award (the acquisition of land) has been passed five years or prior to the commencement of the act, the compensation has to be paid. It is not time-barred,” says Singh. “Section 5 of the Limitation Act says there is a system in place for everything. If your car is malfunctioning today, you cannot say after 10 years that my car malfunctioned 10 years ago, so give me compensation. The Supreme Court has itself said that you have to file for compensation within two years,” says Gorkela. “This notion of inheriting property and having permanent control over it was introduced by the British. It was not there during the Mughal or the Rajput periods,” says historian Narayani Gupta. “Under the new law, the government has to first conduct a social impact study, which will assess what impact the acquisition will have on the whole area, and not just on people whose land is being taken. The social impact study needs to give the all-clear. If the land is to be used for government purposes, 70 per cent consent is needed. If it is for a public-private partnership project, 80 per cent consent is needed,” adds Surat Singh. “Land acquisition is still very messy. The State still has the power to take away the land from those who own it, no matter how strong their claim. I don’t think the scenario is going to change in the future,” says sociologist Ashis Nandy. The Delhi High Court will hear the case on July 25, 2016.